Our practice works together to realize a shared vision of uncompromising excellence in dentistry. 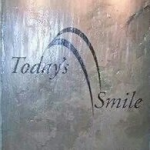 We at Today's Smile understand that your dental visit can be intimidating! In order to cross the bridge of intimidation, our staff takes pride in making you feel relaxed about receiving your dental treatment and maintaining a healthy smile. Your smile is everything, and at Today's Smile we want your first visit to be pleasant and informative. We strive to provide the best dental care that will last a lifetime. At Affordable Veterinary Clinic we are dedicated to providing optimal veterinary care that is personalized attention for you and your pet, allowing you to be confident that your pet's best interest is our top priority. Our job is to treat your pet when he or she isn't feeling well, but also to help you learn how to keep your best friend happy and healthy. With help and uncompromising care by our dedicated and knowledgeable personnel, we will help ensure the enjoyment of your pet for many years to come.